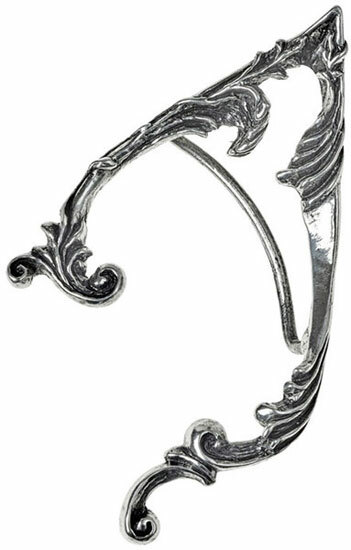 An elf’s ear, disposed to the natural surroundings of such a creature, in the form of a Victorian Gothic fantasy of swirling, verdant flourishes. 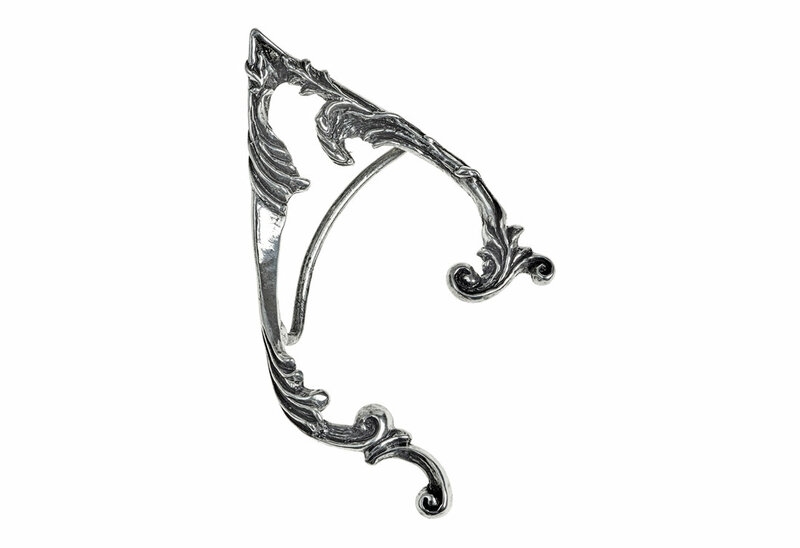 The intricately cast elf/fairy earwrap, can be gently squeezed and adjusted for the owners ear. 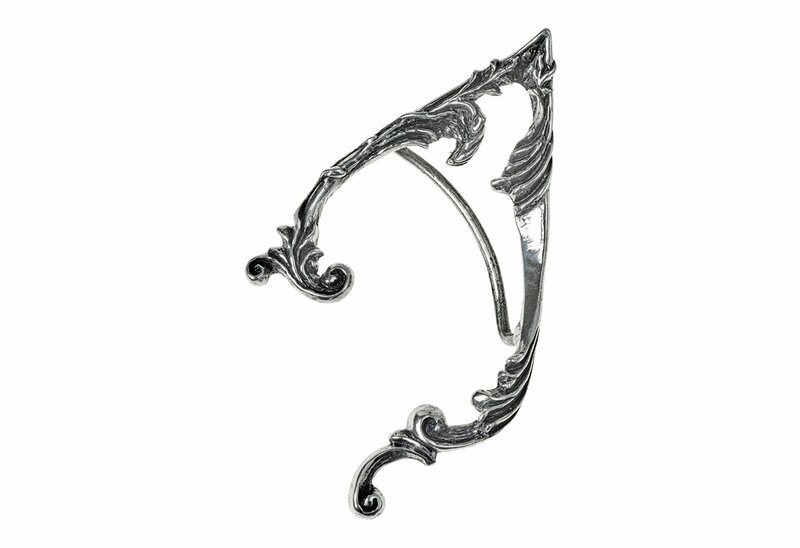 It takes a bit of effort to bend to your ear, but the pewter is pliable enough to get there. 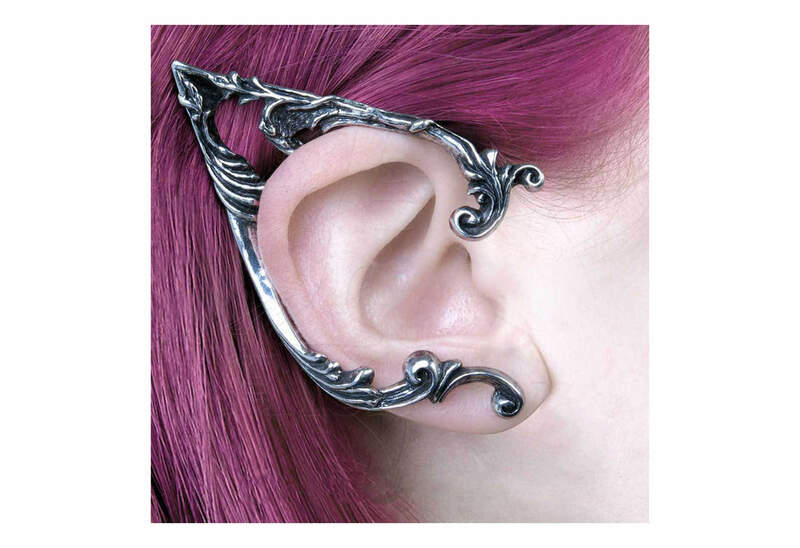 I've had ear cuffs like this before, but this is by far the most comfortable.